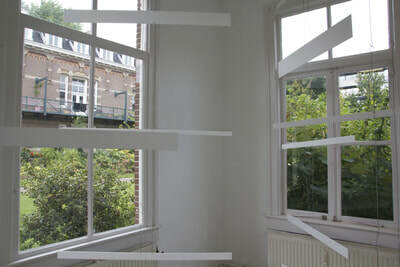 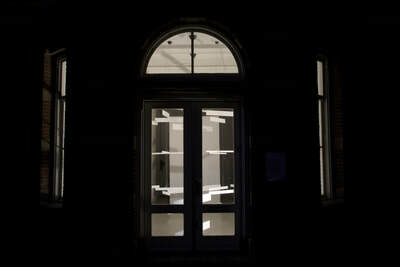 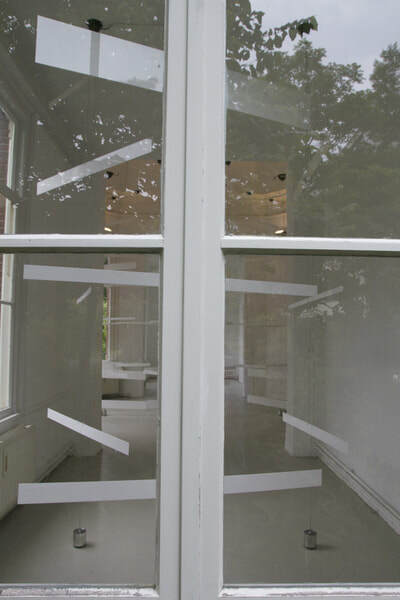 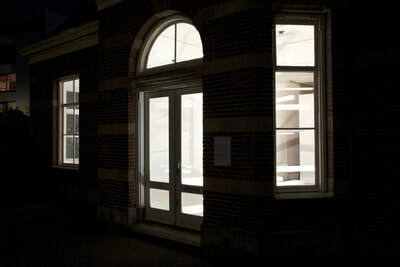 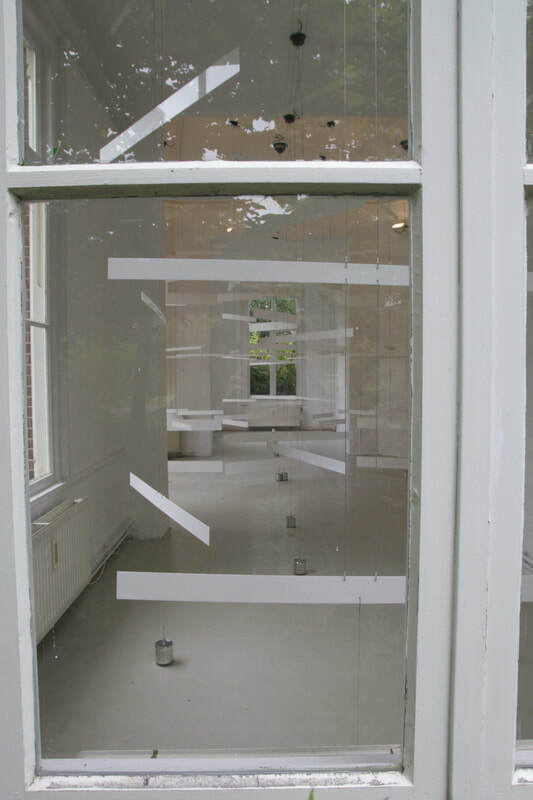 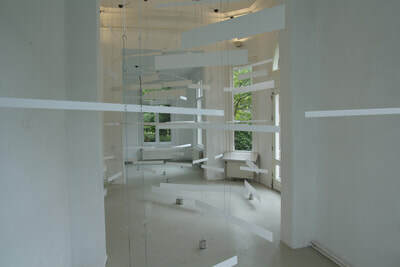 Installation made in the Outline Gallery , Amsterdam. 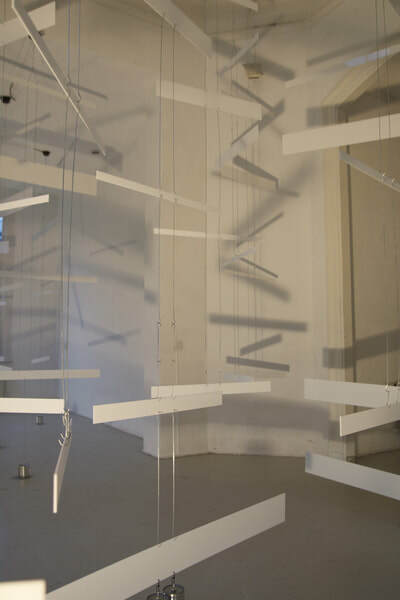 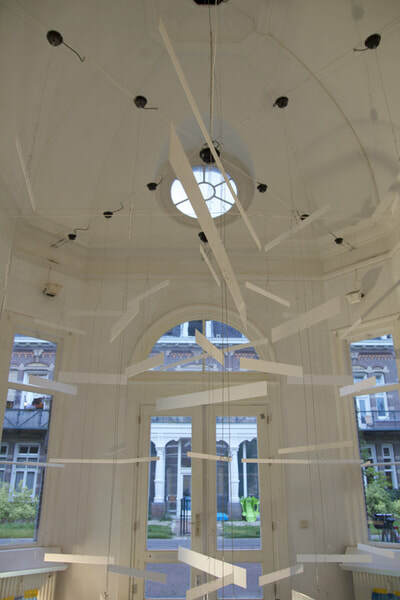 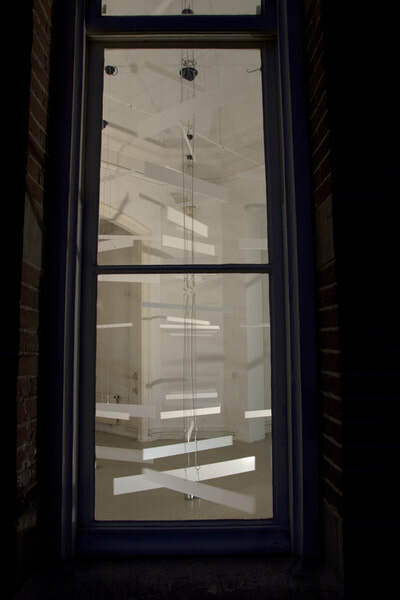 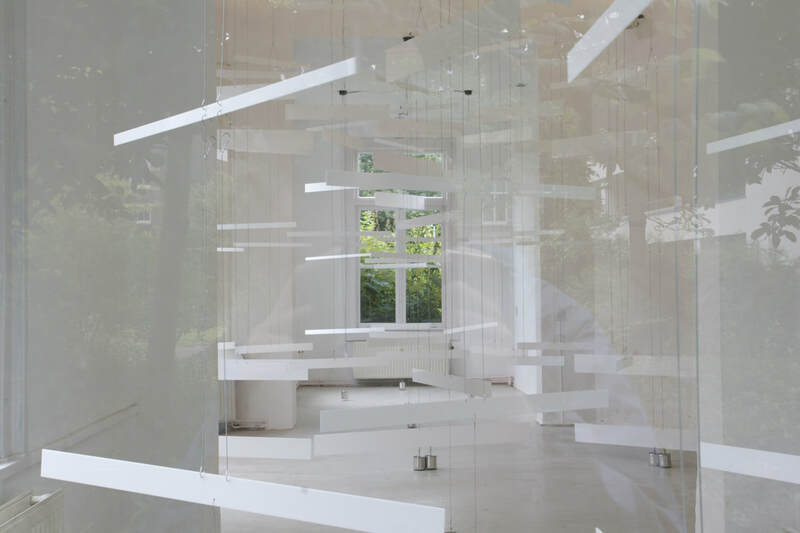 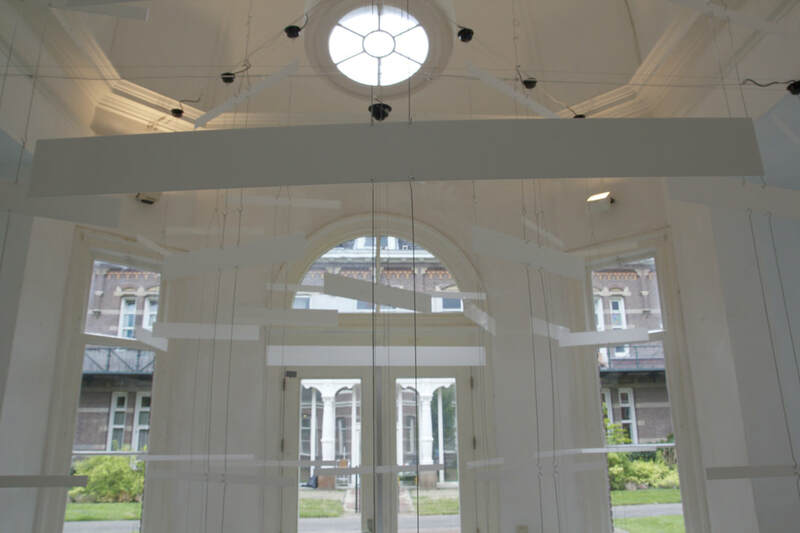 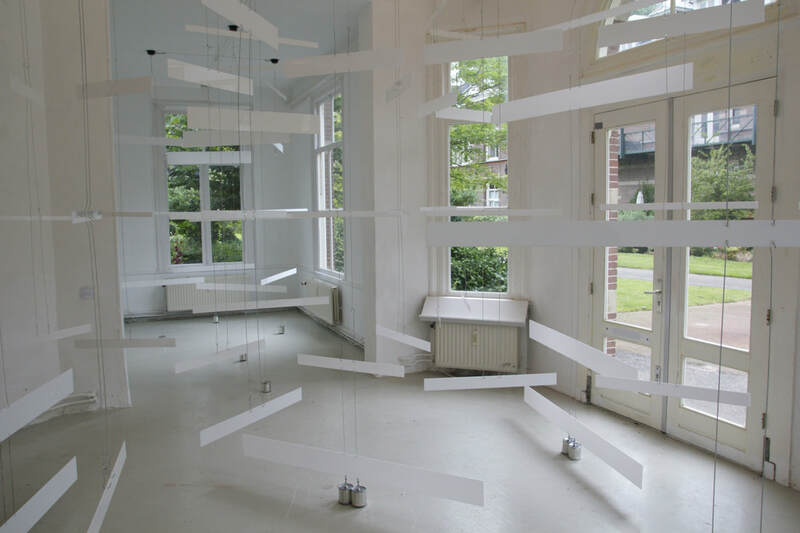 Strips of rotating plexiglass are suspended from the ceiling, controlled by motors. 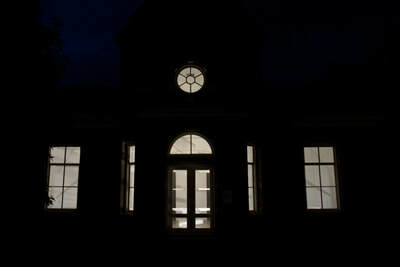 The work was inspired from the proportions of the existing architecture. 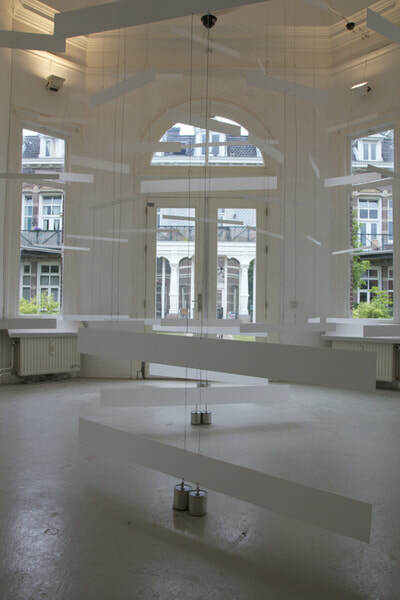 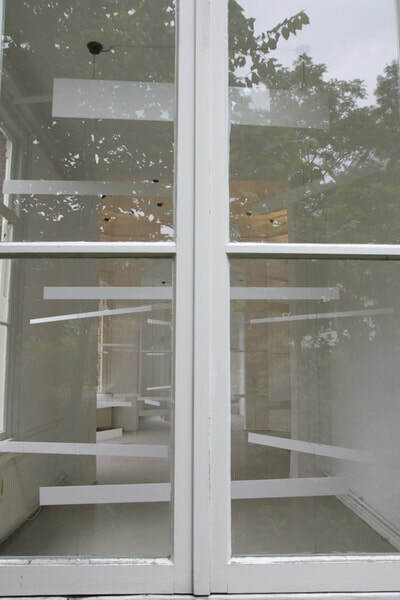 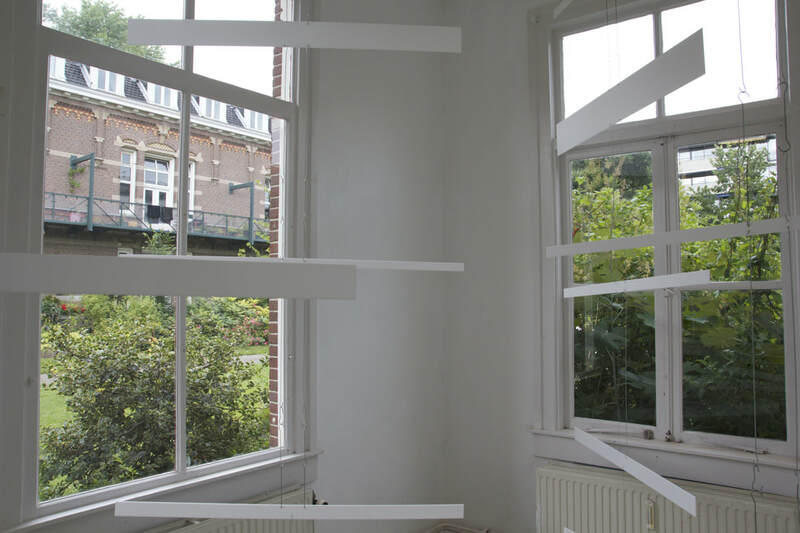 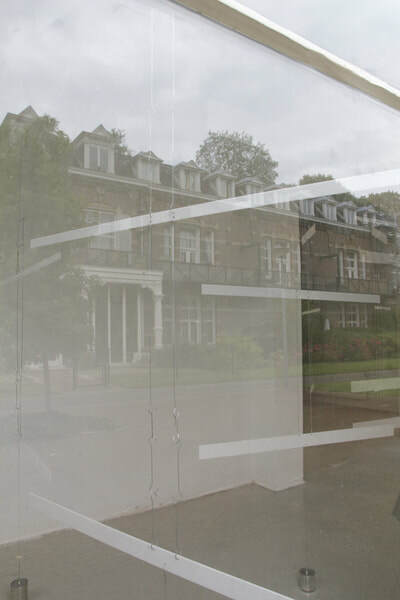 For the summer presentation in outLINE, Peter Vink has developed an installation with rotating 'mobiles', which were designed with an eye for the existing architecture. 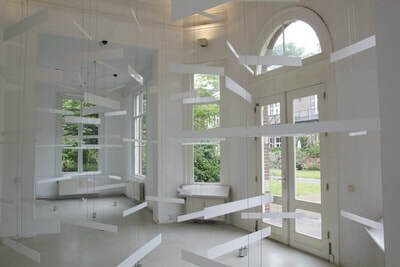 The mobiles are made of opal colored beams, suspended on disco ball motors. This ensures that the installation creates a circular motion, a reflection on the stillness of the interior space in contrast to the movement of visitors and residents in outer space. 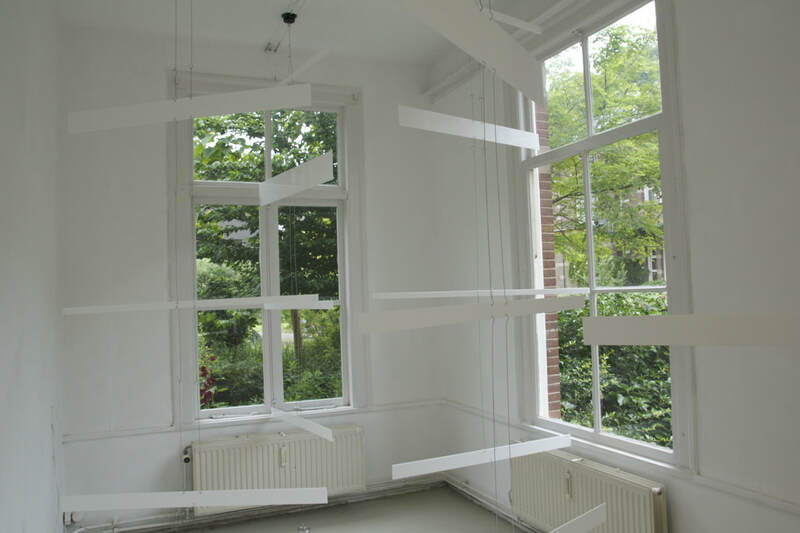 Installatie gemaakt in de tentoonstellingsruimte outLine te Amsterdam. Mobielen gemaakt van plexiglas waren opgehangen aan het plafond en vulden de gehele ruimte. 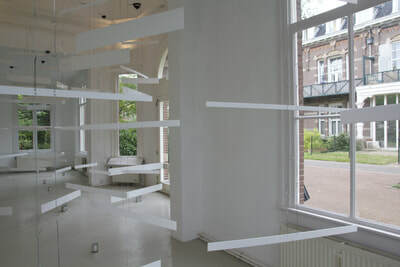 Het werk was geïnspireerd op de verhoudingen van de architectuur die in het gebouw te vinden zijn.